Corvus North helped Lower Phalen Creek Project organize its first-ever day at the Minnesota Capitol in March 2018. 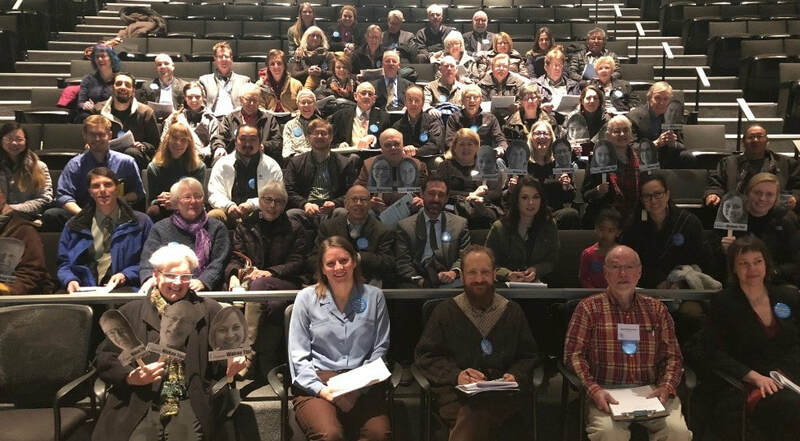 Advocates told their legislators about the importance of the planned cultural and environmental interpretive center at Bruce Vento Nature Sanctuary. Named "Wakan Tipi Center" to honor a sacred Dakota space along the Mississippi River, this facility will be unique in the nation. Thanks to the advocates' work, the Minnesota Legislature and Governor Mark Dayton authorized $3 million in bond funding for this $7.7 million project.